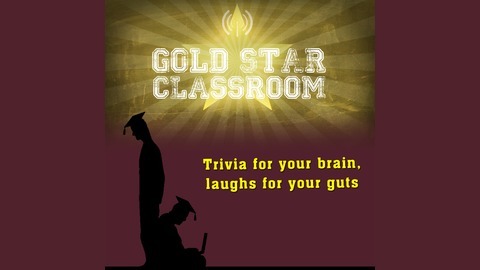 Trivia for your brain, laughs for your gut. This is our season 3 finale, and what a special episode it is. Recorded live, backstage at the world famous Bay Street Theatre, home club of Lady Chablis as well as the Savannah Comedy Revue. This episode was recorded in a short break after a comedy show and before a wonderful transvestite burlesque show, and what wild and fun scene it was. Everyone there was fun and gracious to be around! Now, back to class! Do any of these luminaries’ students have a heart, and if so, do they know anything about it??? And then, questions about a mysterious and famous rock band form the 60s and tidbits of trivia about Georgia (and, so it seems, Illinois!). 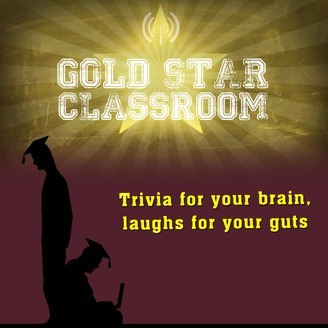 Who will shine out when all around is dark, and win themselves the coveted classroom prize, the Golden Banana? Charlie Weiner is a legendary comedian and musician, known best for his classic record 12 inches of Weiner! Matt Theisen is an actor, teacher, and fight coordinator who once got kicked in the chest by an overeager actor, and who is currently building his own farm. Thom Paris is producer of the Savannah Comedy Revue!